How will you know when the timing is right to bring a puppy into your home? Well, some different factors will go into the decision making process. With that being the case, be sure you are ready to give your puppy of choice all the love and care they will need. So, is your home ready for a puppy? 1. Timing – Is the timing right to bring a puppy in? For some individuals and families for that matter, the timing may not be right. Whether a big commitment to work, travel or even thinking about moving soon, the timing could be off. That said when the timing does appear to be right; you still need to think things over. Can you care for it? Do you have the money necessary for such an addition? If you have children, will the puppy be a good fit with them? By knowing the timing and how it can impact a puppy, you and the dog will be better off. 2. 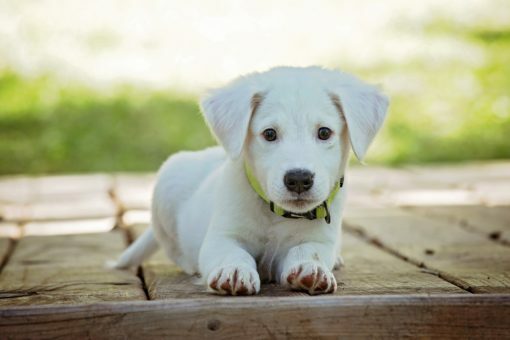 Location – Where are you considering getting a puppy from? It is wise to search around to see which breeders would have the best options for you to select from. You can check out https://uptownpuppies.com/ or other options to see where your puppy should come from. In today’s digital world, it is even easier to research and find the dog of your dreams. Whether you opt for a breeder near you or one some distance away, make sure you get the puppy you want. 3. Children – If you have children at home, will they be ready for the responsibility of having a puppy? For many children, a puppy by their side is the perfect call. Your child and puppy can grow up side-by-side. As such, it is bond that will be cherished for many years to come. The key is to make sure your child or children will be responsible enough for such an undertaking. Will they care for the puppy? Will they play with it but in a way that shows respect towards the animal? Make sure your family is ready for the commitment for animal and humans to have a perfect connection. 4. Travel – In the event you travel for business or pleasure, how will this impact the puppy you bring into your home? Given the commitment you need to make, be sure you are there as much as possible to give it the love and care it needs. It is not fair to the animal to be putting it in a dog care facility many times a year because you have to or want to travel. While the occasional trip is fine, don’t get a dog and then leave it on its own or with others for long periods of time. In deciding if your child is ready for a dog, take your time to think about the pros and cons. While the pros outweigh the cons, make sure you have the time, money and love needed to care for man’s best friend.